NATURE DISCOVERY is dedicated to enhancing awareness and sensitivity toward Michigan's diverse living resources through natural science education. 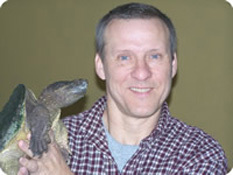 Jim McGrath, the founder of Nature Discovery, has a degree in Wildlife Biology from Michigan State University and has over 25 years experience as an interpretive naturalist. He is a weekly specialist Michigan natural science teacher at Montessori Children's House in Lansing, Stepping Stones Montessori in East Lansing, and Okemos Nursery School in Okemos. He also offers special classes for youth through Lansing Community College. A strong lifelong interest in the natural world, coupled with an enthusiasm to share knowledge with others, is key to Jim’s popularity with students of all ages. 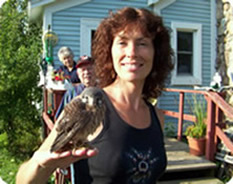 Carol McGrath has a degree in Biology from the University of Illinois, Chicago. After working several years as a chemist in the private sector, she has turned to working with her husband Jim with wildlife education in addition to other aspects of science education. Carol is currently contracted by Fairview Elementary School in Lansing as their specialist science teacher. Her detailed knowledge and hands-on approach are consistent with the Michigan Essential Goals and Objectives for Science Education. She also teaches many youth-oriented classes through Lansing Community College. Carol’s love of science is infectious to all students at the elementary, middle and high school levels. To learn more about Jim and Carol, please contact us at (517) 655-5349 or at naturedisc87@gmail.com.